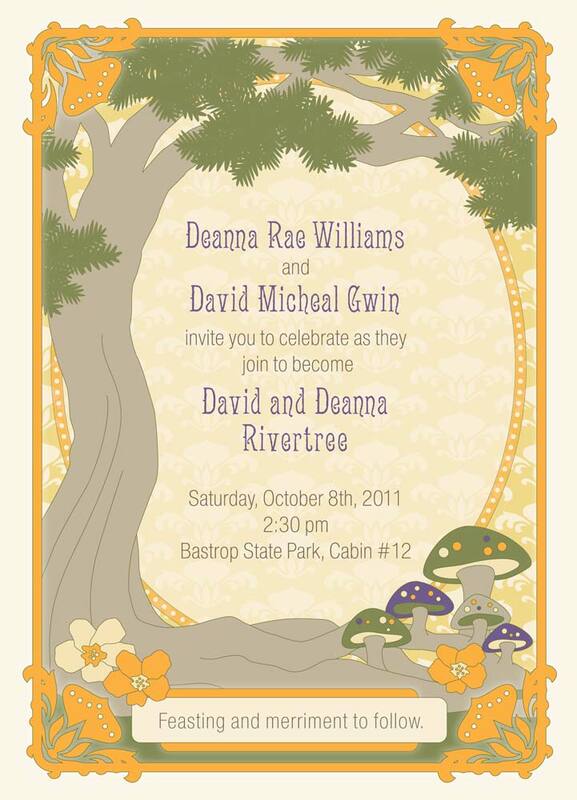 I designed this wedding invitation for my good friends, the Rivertrees. They wanted an illustration of the outdoors with the tree that they would get married under, and I went with an Art Deco style to give it a bit more of a formal look. 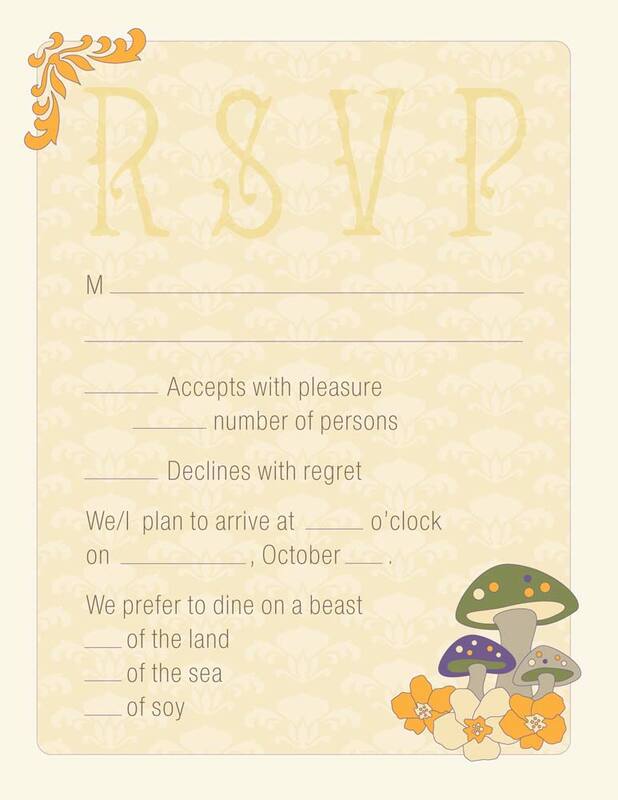 I also designed their RSVP cards below.